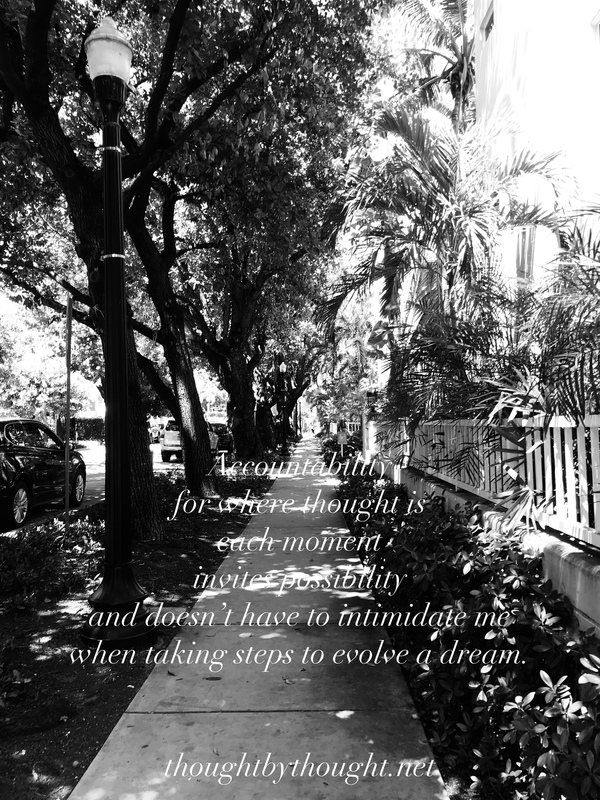 when taking steps to evolve a dream.” To take any step requires decisiveness and courage… But what’s helps me calmly embrace the process —taking the actual steps —is to insist on living and being accountable… We don’t have to earn accountability. We don’t have to prove it. It’s ours already… we just must exude it. We yearn to do what’s right, principled and ordered… down to the smallest detail… and as microfocused as I get, or as slow as I need to go, insisting on being accountable helps me step by step. :) Watch feeling you’re going too slow. Celebrate if you are a stickler for every detail. That’s accountability steering the possibility into actuality !!! ?